Trump Palace Condos was built in 2006. It offers large balconies and uninterrupted views of the Atlantic ocean and intracoastal waterway. A magnificent obsession with detail is perfected in its generously apportioned interiors and flawless craftsmanship. This luxury Penthouse unit has uninterrupted views of the Atlantic ocean and intracoastal waterway. No expense has been spared in the design and a magnificent obsession with detail is perfected in its generously apportioned interiors and flawless craftsmanship, made all the more exceptional by an incomparable offering of personal service and amenities. Residence interiors feature: Ten-foot ceilings and floor to ceiling windows, Spacious outdoor terraces, accessible from master suites with panoramic ocean and Intracoastal views, State-of-the-Art Kitchen cabinets and equipment. This unit has Imported marble flooring. The building has all the amenities imaginable including multiple pools, tennis, fitness gym etc. LIVE IN THE LAP OF LUXURY IN THE HEART OF SUNNY ISLES BEACH. ENJOY ALL OF THE FIVE STAR AMENITIES OF THE TRUMP INTERNATIONAL HOTEL. THIS BEAUTIFUL 2 BEDROOM 2 1/2 BATH IS TURNKEY. IT HAS A STUNNING VIEW OF THE OCEAN AND THE POOL WITH ITS MAGNIFIENT LANDSCAPE. GREAT BEACHCLUB, RESTAURANTS, 4 POOLS, ROOM SERVICE, STATE OF THE ART FITNESS CENTER AND MORE. MUST SEE !! !SEE IT AND YOU WILL BUY IT!!! UNIT IS RENTED BUT CAN BE BOUGHT RENTED OR WITHOUT THE LEASE. Stunning Oceanfront Residence in the famous Trump Palace. This magnificent 2 bed 2.5 bath remodel with top of the line finished no detail has been spared. Residence features floor to ceiling windows, expansive terrace and open kitchen with European appliances. Trump Palace offers prime oceanfront location, full beach and pool services, spa, state of the art fitness center, swimming pools, Jacuzzi, activity classes, tennis courts, restaurant service, full access to Trump International hotel, valet parking and much more. Luxurious oceanfront one of a kind home with magnificent Ocean, Intracoastal and City views. This 2 bed 2.5 bath Impeccably maintained residence features floor to ceiling windows, expansive terrace and open kitchen with European appliances. Trump Palace offers prime oceanfront location, full beach and pool services, spa, state of the art fitness center, swimming pools, Jacuzzi, activity classes, tennis courts, restaurant service, full access to Trump International hotel, valet parking and much more. LOWEST PRICED 2 BED UNIT IN TRUMP PALACE!!! PRICE IS FIRM!!! GORGEOUS 2 BEDROOM & 2 FULL BATH LUXURIOUS RESIDENCE AT TRUMP PALACE IN SUNNY ISLES BEACH, WITH SPECTACULAR OCEAN & CITY VIEWS. MODERN ITALIAN FULLY EQUIPPED KITCHEN WITH GRANITE COUNTERTOPS & STAINLESS STEEL APPLIANCES, HIGH CEILINGS, WINDOW TREATMENTS, CUSTOM CLOSETS, JACUZZI AND MORE. AMENITIES AT THIS EXCLUSIVE OCEAN FRONT PROPERTY INCLUDE 3 POOLS, SPA, OCEAN, FULL BEACH SERVICE, TENNIS COURTS, 2-STORY FITNESS CENTER, BUSINESS CENTER, ROOM SERVICE, CONCIERGE, 5 STAR AMENITIES, 24HR VALET & MORE. JUST LISTED AND WON'T LAST AT THIS PRICE!!! Priced to SELL fast!!! Enjoy all the amenities Hotel Trump International has to offer. This beautiful 2 bedroom 2 bath condo has a wonderful charm, ambiance and feel-good factor about it. It has quality accommodation, sunny living areas, gym and an outstanding pool area. Beautiful views, 24hour spa & complimentary valet parking. Luxurious oceanfront one of a kind home with impressive direct ocean views from every room. This 2 bedroom + 2 dens, 2.5 bath residence has been fashioned with the finest of details and materials. Completely updated master bath, marble floors, designer ceilings, custom closets, high-end finishes with no expense spared and a private elevator entry to unit. This 09 line can also easily be switched back into its original 3 bed + den, 3.5 bath. 5 star amenities including beach and pool service, jacuzzi's, spa, gym, restaurants, tennis courts, valet, 24hr security and much more. Note: This residence was originally a 3 bed +den, 3.5 bath and can be modified back to original. ONE-OF-A-KIND, OCEANFRONT LANAI UNIT WITH 18' VAULTED CEILINGS, DARK WOOD FLOORS AND A 2,000 SQ FT PATIO. IT'S LIKE HAVING A HOUSE ON THE BEACH--TONS OF LIGHT! ENJOY THE RESORT-STYLE AMENITIES TOO! Direct private access to tennis courts, and the pool/beach without taking elevators. This condo has the biggest terrace in the entire building. with double high ceilings and 2 private elevators. Spacious 3 bedroom / 3.5 Bath + Den - Marble floors throughout - Stainless steel appliances - Italian cabinetry - plenty of closet space. Building has excellent amenities including: 3 pools, outdoor jacuzzi, spa, fitness center overlooking the ocean, tennis courts, playroom and much more! Resort living, enjoy strolls on the sand every day. Easy access to stores, restaurants, elementary school and much more. Easy to show! Beautiful residence 3 bedrooms/3,5 baths on 46th floor with breathtaking ocean and city views. Flow through floor plan with large ocean and city side balconies. Spacious bedrooms with floor to celling windows. Comes with the storage. Trump Palace has many amenities to offer. Complex features great territory, tennis courts, pools, SPA, gym, valet, concierge, oceanfront restaurant. Owner financing is available. Spectacular 3bed/3.5bath residence with panoramic intercostal and ocean views. Unit features private elevator, marble floors, custom made electric shades throughout , stunning built-ins and gourmet kitchen with top of the line appliances. Enjoy endless sunset views from this magnificent home. Building amenities include restaurants, gym, business center, four pools, beach service and much more. Spectacular 3bed/3.5bath + Den residence with panoramic intercostal and ocean views. Unit features private elevator, 2 balconies, marble floors, custom made electric shades throughout, stunning built-ins, top of the line appliances, exquisite Italian wood gourmet kitchen, expansive walk in closets. The 270 degrees beach, intracoastal and city views lets you enjoy the picture perfect sunrise to sunset in Miami. Enjoy the fabulous amenities including, dog park, kids playroom, 3 pools, tennis courts private beach access, jacuzzi, spa state of the art gym and much more. Owner motivated ready for a deal. BEST PRICE FOR THE SIZE AND LINE. THE MOST SPECTACULAR TURN-KEY 2-STORY PENTHOUSE ON THE BEACH. INCREDIBLE DIRECT OCEAN CORNER WRAP AROUND. ONE OF A KIND RESIDENCE. AMAZING VIEWS ALL AROUND-DIRECT OCEAN VIEWS, INTRACOASTAL & SUNSET VIEWS. YOU HAVE IT ALL! MODERN FINISHES WITH BEAUTIFUL FURNITURE INCLUDED, OVER 21 FT CEILINGS WITH GLASS STAIRCASE AND PRVATE INTERNAL ELEVATOR ! APPROX 4,141 SF WITH FOUR BEDOOMS, 2 LIVING ROOMS, DEN, TWO KITCHENS, PLUS A 2,000 SF HUGE WRAPAROUND UPPER LEVEL PATIO THAT HAS A PRIVATE SWIMMNG POOL. RESIDENCE IS FULLY LOADED WITH SOUND, AUDIO, ELECTRIC SHADES & CLIMATE CONTROLS. INCLUDES ALL FURNITURE (EXCEPT ARTWORK). PRIVATE BEACHFRONT CABANA INCLUDED!!!!!. A palace in the sky. Stunning panoramic Ocean/Intracoastal views.11' ceilings,Custom wood doors, mood setting lighting.Large balcony w/ocean views.Black granite counters/stainless appliances,Custom closet-additional drawers in master bath. Exceptionally lg master bedroom & sitting area overseeing breathtaking Ocean/Intracoastal views.Sample culinary delights at onsite restaurant/bar@Trump Hotel. 5-Star amenities-Gym, Gated, Dancing water fountain, 4 Pools, Tennis. Enjoy a life of luxury!! 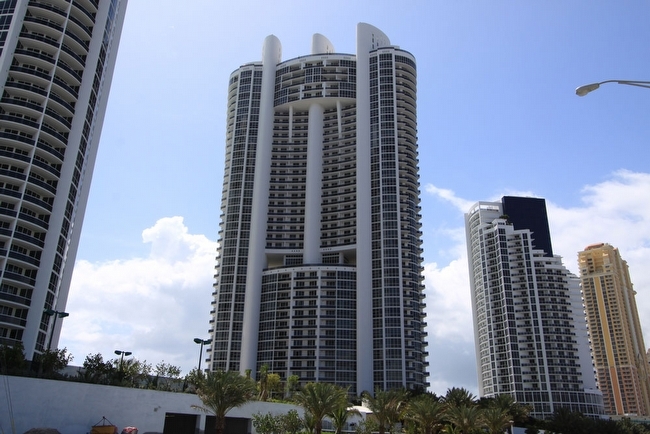 Nice and spacious 1/1.5 in the most prestigious complex in Sunny Isles. Beautiful view of the ocean and the city. Marble floors throughout. Amenities include tennis, gym, 2 pools, sauna, 24/7 security and valet and much more. 2 Bedroom 2 bath Oceanfront best 2 bedroom in the building. Nicely and freshly furnished like real ocean retreat.Gorgeous Onyx floors throughout. Available for rent in September 2019 not less than for 6 month or more from February 2019. LUXURIOUS FULLY FURNISHED PENTHOUSE WITH HIGH CEILINGS IN TRUMP PALACE. EXPANSIVE & UNOBSTRUCTED DIRECT OCEAN, INTRACOASTAL & CITY VIEWS. EUROPEAN FULLY EQUIPPED KITCHEN WITH GRANITE COUNTERTOPS, STAINLESS STEEL APPLIANCES, MARBLE FLOORS THROUGHOUT, CUSTOM CLOSETS, WINDOW TREATMENTS, JACUZZI. EXCLUSIVE OCEANFRONT PROPERTY WITH FOUR POOLS, SPA, FITNESS CENTER, BUSINESS CENTER, BEACH, ROOM SERVICE, CONCIERGE, 24HR VALET & MORE.CALL LISTING AGENT. AVAILABLE APRIL 23, 2019. 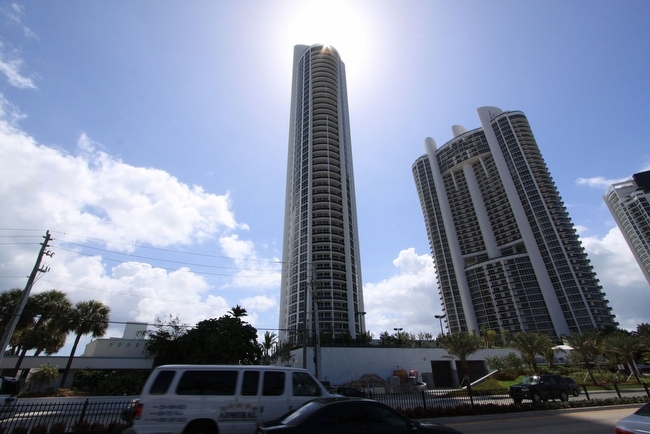 Gorgeous spacious unit in luxurious Trump Palace, located in the heart of most desirable destination Sunny Isles Beach. Enjoy Ocean, Canal and City views from every window. 2 bedrooms 2 full bathrooms, 1276 Sq Ft, floor to ceiling window. Trump Palace features first class amenities: ocean front pools, tennis court, ocean front restaurant, SPA, concierge, valet, gym. Minutes away from Aventura Mall, Bal Harbour Shops, South Beach. Beautifully furnished and equipped, with gorgeous SE views of the ocean, 2 bedrooms 2,5 bath apartment on 16th floor available for rent from January 5th, 2019.Luxury, five star amenities, 24 hour concierge, complimentary valet, full service pool and beach, spas, 3 pools, restaurants and bars. Can be rented minimum for 6 month or more. Luxurious newly remodeled and new fully furnished 2 bedroom 2 bath residence in Trump Palace offers ocean, city and pool views. European fully equipped kitchen with granite countertops, stainless steel appliances, marble floor throughout, window treatments, custom closets, fully furnished, Jacuzzi. Exclusive oceanfront property with four pools, spa, fitness center, business center, beach, room service, concierge service,5 star amenities, 24hrs valet and more. Available for a minimum stay of six months starting 03/01/2019. Fully furnished bueatiful 2 bedroom 2 bathroom condo with ocean and city views.Located in heart of Sunny Isles, 24 hours security, spa, gym,consierge, pools, beach service and full access to amenities of Trump International Hotel. Enjoy all the amenities Hotel Trump International has to offer. This beautiful 2 bedroom 2 bath condo has a wonderful charm, ambiance and feel-good factor about it. It has quality accommodation, sunny living areas, gym and an outstanding pool area. Beautiful views, 24hour spa & complimentary valet parking. LUXURY ON THE OCEAN! FULLY FURNISHED WITH OVERSIZED BALCONY OVERLOOKING THE FOUNTAIN & POOL. PARTIAL OCEANVIEW! ENJOY 5-STAR AMENITIES OF TRUMP PALACE & TRUMP INT'L HOTEL WITH RESTAURANTS & BEACH SERVICE! ITALIAN KITCHEN W/GRANITE COUNTERTOPS. WALK-IN CALIFORNIA CLOSETS. MARBLE THROUGHOUT UNIT. PLEASE NOTICE BUILDING ALLOWS ONLY 6 MONTHS RENTAL MINIMUM. EASY TO SHOW. BEAUTIFUL OCEAN VIEW FROM THIS HUGE 2 BEDROOMS, 2 BATH AT THE DESIRABLE TRUMP PALACE. ENJOY THE STATE OF THE ART AMENITIES AND SERVICE AT THIS 5 STARS BUILDING. DON'T MISS THIS ONE!!! SEASONAL RENTALS WELCOME!!! FOR RENT 3 BED 3.5 BATHROOMS IN A MAGNIFICENT RESIDENCE LOCATED IN THE HEART OF SUNNY ISLES *** wake up to a beautiful Sunrise and enjoy the ocean***walking distance to stores, restaurants, elementary school, shopping centers and much much more! The building offers upscale amenities. Enjoy living in an up scale Sunny Isles condo*** located between Bal Harbour and Golden Beach*** 6 Months minimum*** Yearly rent acceptable as well. Must see to appreciate it - Please feel free to call for more Information. Amazing one of a kind residences available for lease at the Trump Palace building in Sunny Isles Beach Florida. Magnificent intracoastal views. This 3 bedroom PLUS DEN with 3.5 bath residence offers private elevators, floor to ceilings windows, marble floors and is turnkey. Wonderful amenities including 1,000 feet of pristine beach with a tropically landscaped water activities pool, temperature controlled lagoon pool, temperature controlled lap pool, Jacuzzis, waterfalls, snack bar, restaurant on the beach, tennis courts, valet and more!. Easy to show please call. Luxurious oceanfront one of a kind home with magnificent direct ocean views from every room and to the Intercoastal. This 3 bedroom + den 3.5 bath residence has been crafted with the finest of details. Private elevator entry. Fabulous amenities including beach and pool service, rooftop jacuzzi, spa, gym , cafe , tennis courts and valet. This is a MUST SEE unit. Easy to show. 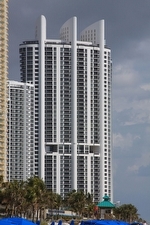 Modern luxury condominium at Trump Palace offers the best of oceanfront living in Sunny Isles, Florida. This 2,435 square foot three bedroom, three and a half bath with a den residence features floor to ceiling windows showcasing expansive views of the sparkling Atlantic Ocean to the east, and wraps around giving a coastline view. The spacious balconies offer outdoor living space which are perfect for relaxing and entertaining. This is truly a decorated gem, will rent fast must see easy to show. Can be rented unfurnished, partially furnished, and fully furnished. Please contact for the fully furnished price. Available for a long term. Panoramic views of the Ocean, Intracoastal and Miami Skyline from this desirable 04 line at the Trump Palace. Fully furnished residence boasts a spacious open floor plan with 3 bedrooms and 3 ensuite bathrooms, private elevator foyer and gourmet kitchen. Enjoy magnificent views from the oversize terraces. Electric shades and floor-to-ceiling impact windows allowing plenty of natural light. Five star amenities include 24 hour valet and security, concierge services, tennis courts, 4 pools, state of the art Gym and Spa, beach service and much more! FOR RENT Spacious 3 bedroom, 3.5 bath, stunning panoramic ocean, intracoastal and city views. Unit comes fully furnished. 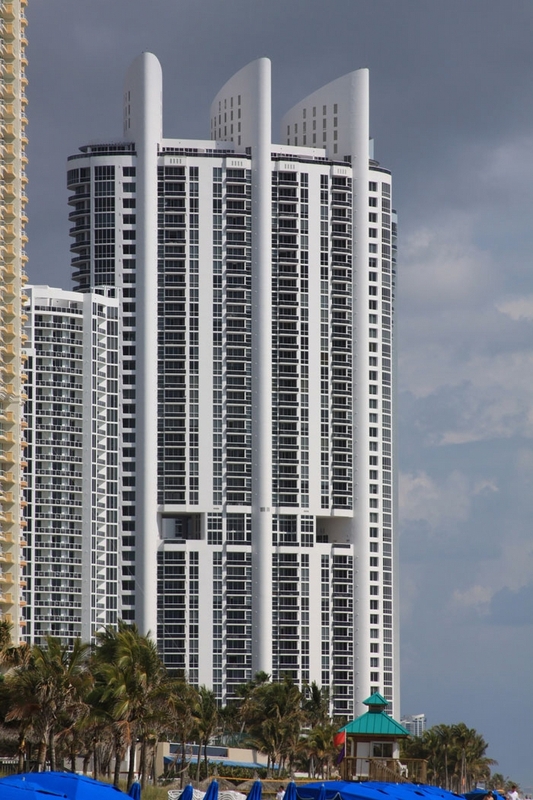 One of the best ocean front buildings in Sunny Isles Beach. Resort living, enjoy all of the best amenities in the building as well the one next door at the Trump International Beach Resort. Close distance to stores, restaurants, Elementary school and much more! Must see to appreciate it! Luxurious 3 Beds, 3.5 Baths. See floor plan attached. Flow through unit with upgraded kitchen with astounding unobstructed views of Ocean, City and Intracoastal from 2 balconies. Floor to ceiling windows, marble floors. Exclusive Ocean front property, 4 p ools, fitness center, Beach, Valet, 24hs Security and much more.Rented fully furnished. Long term only. WOW!! AMAZING IMMACULATE FULLY FURNISHED 3 BEDROOM, 3.5 BATH WITH 2 BALCONIES. THIS FLOW THRU RESIDENCE HAS INCREDIBLE OCEANVIEWS THAT LOOK UP THE COAST SOUTH AND ALSO INCREDIBLE INTRCOASTAL SUNSET VIEWS FROM THE SECOND BALCONY. PRISTINE WHITE GLASS MARBLE FLOORS THROUGHOUT. ELECTRIC SHADES. FINISHED CLOSETS. ALSO ENJOY ALL THE LUXURY RESORT STYLE AMENITES WITH 4 SWIMMING POOLS, 4 TENNIS COURTS, GYM, SPA, FOOD & BEVERAGE SERVICE. YOU HAVE IT ALL!!! One of the kind, Combined property.Infinite views of Miami's turquoise ocean and miles of beaches from the 3 expansive terraces. Private elevator professionally designed & decorated:Murano Glass Chandeliers with Swarovski Crystals.Bright open kitchen boasts Miele, Wolf and Sub Zero Appliances. The luxurious master suite features huge walk-in closets, and rare, exotic tiled shower and tub enclosure. Crestron Home Control System Decoration in excess of a Million.Luxury Amenities Include beach & pool service,service spa, fitness center, oceanfront restaurant, tennis courts, club room, dog park, 24hr security, concierge, and valet service.